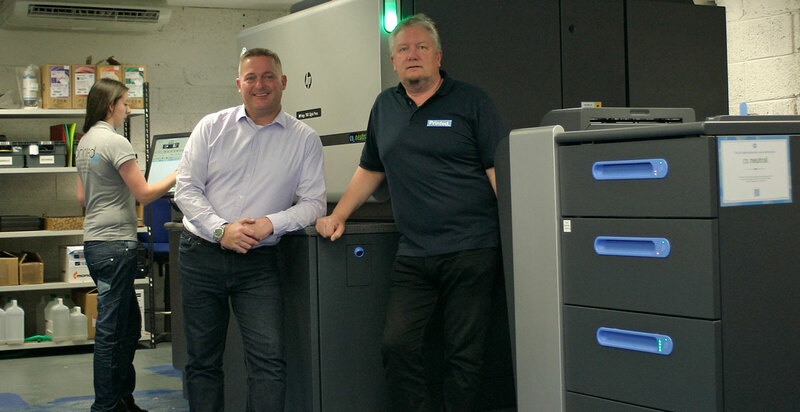 Based at Garenne Park in the Vale, Printed is heading a revolution in the print world. Top quality printing on paper and card is just the start of it. Plastics thin enough to use as a waterproof leaflet, business cards thick enough to stop your table wobbling or stickers for your motorbike are all part of a day’s work here. Our UV print machine can print directly onto pens or phones. The DTG machine prints directly onto the cotton of a t-shirt and our plotters generate posters big enough for the largest wall. (That’s Rob and Andy above by the way). Here at Printed we continually update both our machinery and our training to bring our customers cutting edge printing technology in the most cost effective way. See here for a guide to using variable data print for example. Every business benefits from writing down their good points, then putting it in a book or a brochure to give to their clients. We can print in any size, shape or colour. Bring attention to your event by putting up bright, bold, informative posters. Any size on any material from nice glossy poster paper to 5mm thick foamboard to make sure it gets noticed! Pop in or call (or email [email protected]), we can help you with stickers, tickets, stationery, postcards, folders and much more..
You want to use your agency? That’s fine with us. We can happily deal with any file formats you care to throw at us. If you would rather discuss how we can help with design, our friendly team are ready and willing to help. Start-up your business with a brand new logo and stationery to match. We can get you started with business cards, letterheads, leaflets, van graphics, your own branded clothing and even set you up on social media! Arrange an appointment. Email The Team at Printed and see what we can do for you.